Ships from and sold by Allied Hand Dryers. 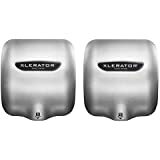 Sold by: Newton Distributing Co.
Hand dryers use high-velocity air streams to remove water from hands. 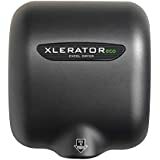 They are an alternative to cloth or paper towels, and are often used in public facilities. 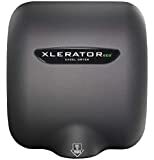 Excel Dryer, Inc. manufactures hand and hair dryers. The company is headquartered in East Longmeadow, MA. 5.0 out of 5 starsWorks great and saves paper! 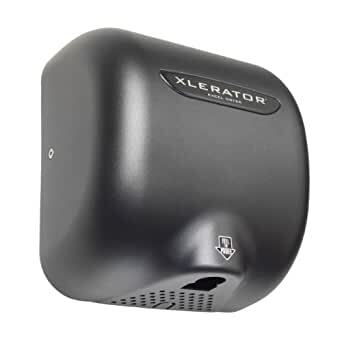 I purchased this dryer for my business. I have a car repair facility and this was put in the work area for the tech's to use after washing their hands. 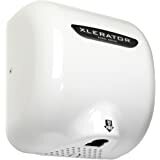 We were going through cases of paper towels, the cloth towel dryer didn't work well for us, so we decided to make the switch to air drying. This dryer work great! The noise level is high, but I think that is to be expected for the air force that is generated. 5.0 out of 5 starsThe dryer to beat! Unit was easy to install. We ran the wiring inside the wall but there is an knockout option to run exterior electrical as well. The amp draw is low for a heated unit and it actually drys hands in 15 seconds (no additional wipinig necessary). We also like the Dysan model but could not justify the additional expense. Excellent product, but I knew that before ordering it. In many places, like BJ's and Interstate Highway Rest stops, etc., I had used them many times before. Really glad to have one for my business now! Quality product NOT China crap. Very satisfied. 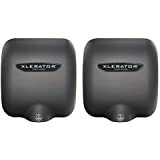 USE THEM IN A BUSY CONVIENENCE STORE, GREAT PRODUCT. GO GREEN!! Just received the product, however the wrench was not in the box.